Hello from my local diner, where I’ve just finished today’s writing session with my bestie. I’m trying to get this written before my battery gives out on me, so this might be short and sweet once again. It’s been a couple of days since I’ve gotten behind the keyboard. After managing to type almost 1600 words Sunday morning, whatever bug has been going around not only my office but my community college had finally caught up with me. I was down for the count for a day and a half, and no writing was to be had. Fortunately, I was still a couple days ahead so I didn’t have to worry that I’d fall behind. In fact, with today’s word count, I’m back to being three days ahead, and that’s a nifty feeling. So is hitting that 29,000 mark as well. 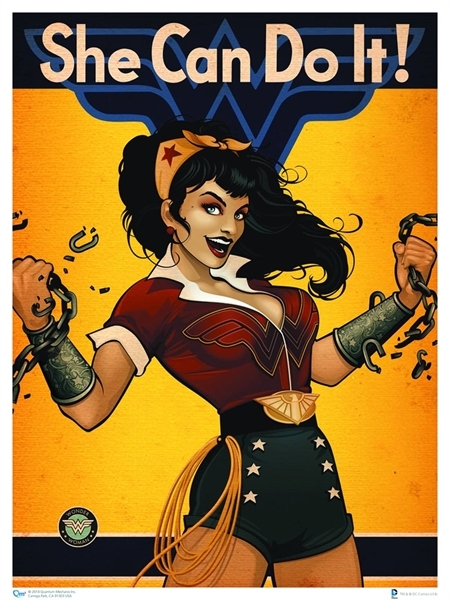 I think it’s very fitting that when I flipped over my DC Bombshells calendar that it was Wonder Woman (my most favorite superhero of all time) who was this month’s pinup girl, and that her motto of “She can do it!” was boldly written as well. What better motto is there for a month of 50,000 words in 30 days than that?